We provide a targeted cleaning solution to all-sized premises from single offices with around 20 employees to multi-let office blocks, apartments and houses. Our bespoke cleaning schedules include cleaning of office areas, meeting rooms, kitchens and washrooms as well as interim deep cleans for windows, carpets and appliances such as fridges. Whether it’s an office, your home or business we can provide a service for you. This is all brought to you with a personalised service. We can supply up to 15 cleaning operatives per premises, which can be cleaned at a time that’s convenient to your business. We send the same cleaning operatives each day and all our staff are easily identifiable in branded uniform. We have a strong on-site presence through supervisors and senior supervisors, who are always available to liaise with your office or facilities manager. 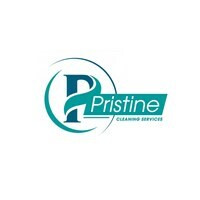 We assign a dedicated contract manager to oversee the entire cleaning operation. Dagenham, London, Waltham Cross, Watford, Essex, Buckinghamshire and surrounding areas.